Whether shopping for a stereo system for your car or a GPS or nav-com for your airplane, most everyone wants a “deal.” Unlike the General Aviation industry, shopping for a car stereo means finding the closest mega electronics store or going online and finding the best deal for you. You can buy these electronics over-the-counter or online and even have your brother-in-law do the install. By and large, automobile electronics retailers are free to advertise their car stereos at whatever price they wish. Sales, shipping, and installation are generally without restriction. Avionics shopping, on the other hand, is different in many ways. Sales of the newest and greatest products from the best avionics manufacturers are frequently restricted and installation by an authorized factory dealer is required. Garmin, as you can expect, has a policy like this and you’ll find a similar policy at Avidyne, Aspen, PS Engineering, STEC/Cobham, L3, and so on. This severely limits your options for purchasing top-end avionics products online or, in this case, at a show. While some avionics manufacturers don’t restrict the over-the-counter sale of their products, the best ones do. I tried to find the specifics of Garmin’s Dealer Policy so I could quote it accurately but I found it to be elusive. However, as a Garmin Dealer for 16 years, I understand the gist of it. Garmin designates some of their current products to be “over-the-counter.” This, of course, includes the portables and sometimes a few panel-mount units that they consider to be “VFR” or prone to the do-it-yourselfer (with legal support). There are no over-the-counter panel-mount units on the Garmin list at this time. This policy applies to certified aircraft only. Homebuilders can purchase most Garmin Products over-the-counter, but Garmin requires that these units be pre-wired by the dealer before shipment. You pay the additional charge for the harness. All other Garmin products are restricted to dealer installation only. In short, ignore this policy and the dealer risks their dealership, and you risk your warranty. Bendix King had a similar no-ship policy for years. More recently, however, they’ve “softened” the policy, allowing a significant portion of the Silver Crown products (KX-155s, KT-76As, etc.) to be shipped, provided they’re pre-wired. 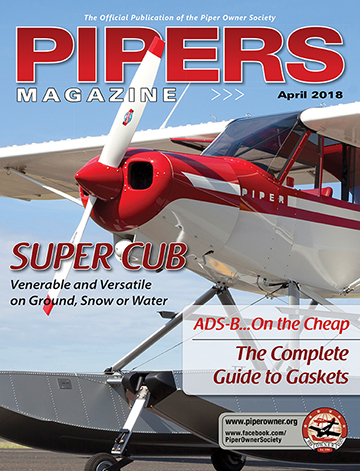 Manufacturers do this for two reasons: first, to “protect” their dealer network, especially from the bigger avionics retailers who, if allowed to ship without restriction, would have a very negative effect on the smaller dealers; and second, manufacturers want to maintain some handle on the quality of installations and minimize installation problems and warranty claims. Pilots, especially those on a budget don’t like these policies and would love to be able to buy a nav-com or GPS for their airplane just like they buy a car stereo. Sure, you can dig deep and possibly find a dealer who might take the risk and ship a restricted item to you. My advice, DON’T! You can do your avionics shopping “homework” online, but know that even the pricing you see from the many avionics websites are also controlled by the manufacturer. Most avionics manufacturers have a Minimum Advertised Price (MAP) policy, which is why you see the same price on the same product on many websites. Dealers cannot advertise a price that is lower than the MAP without risk of retaliation by the manufacturer. MAP has been a common policy in the avionics industry for many years. Some manufacturers like Garmin (with others catching on) now also have a Minimum Resale Price (MRP) policy. MRP dictates the minimum price dealers must charge for over-the-counter items—like portable GPSs. Many headset manufacturers are now using MRP as well. This policy is a result of problems with big dealers undercutting other dealers at shows. Today, when you go to a show like Oshkosh or Sun’n Fun, you’ll likely pay the same price as everyone else for over-the-counter avionics from the bigger manufacturers. This is not to say that you won’t find “deals” on avionics at the big aviation shows, but the reality is that pricing is usually driven by the manufacturers and not so much by the individual vendors. Now, follow me as I point out the pros and cons of avionics shopping at shows. First, let’s take a look at the retail avionics industry where you’ll find that there are really two types of avionics retailers: the small, “mom & pop” dealers and the large, high-volume dealers. “Mom and Pop” avionics dealers probably represent the largest percentage of dealers. They are primarily a direct retailer serving their local market and focus on installations, repairs and certifications. They have all the important dealerships, but their market is mostly local. 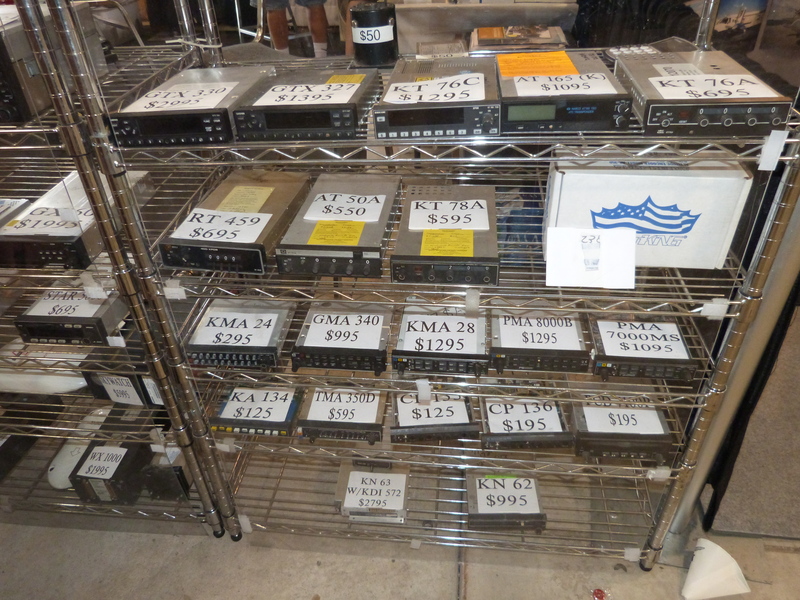 The smaller avionics shop may have a website, primarily as an information source, but they don’t maintain a significant inventory of used equipment (where no shipping restrictions apply) nor are they typically geared up for Internet sales or shipping to end-users. Big, high-volume avionics dealers serve their local market too, but they also maintain a significant presence on the Internet and are geared up to do significant volumes of business in used equipment, portables and for some, pilot supplies. Plus, they also have a significant installation business; and, because of their marketing, pilots will frequently travel a greater distance to have installations done by these dealers. For example, Eastern Avionics drew installation customers from as far away as New York, but more realistically their market was the southeast U.S. If you open up a Trade-A-Plane or search the Internet, you’ll typically find these dealers. Who’s represented at the shows? Here’s a simple question: which one of these avionics retailers do you generally see marketing themselves at shows like Sun’n Fun, AirVenture, and the like? The answer, of course, is the big dealers. Fact is, the little shops compete against other local shops in their area. And yes, they also have to try and compete against the big guys. The big shops primarily end up competing against the other big guys and they price their equipment and installations accordingly. I was senior sales consultant at Eastern Avionics from 1997 to 2013 and sales manager from 1999 to 2003. It cost Eastern Avionics $20,000 to transport our equipment (from Florida), market at Oshkosh, and feed, house, and otherwise “motivate” the crew! This alone, is a limiting factor for an avionics shop, which is why few small avionics shops are represented at the big shows. Eastern Avionics was the first avionics company on the world-wide-web (in 1995) and was one of the first big avionics retailers in the country. As a result, I worked 12 Oshkosh’s and 13 Sun’n Fun’s during that time. We did well at the shows back then, but the selling environment at the shows with MAP and MRP policies have taken away some of the pricing advantages previously held by the bigger avionics retailers. Engine Analyzers and Management Systems – If you read my last two articles on the subject, you know there are four primary manufacturers serving the certified aircraft market. All compete aggressively for your business at the shows. Electronics International, Insight Avionics, and JP Instruments allow over-the-counter sales by their dealers with the goal of having your local aircraft mechanic do the installation. These manufacturers will usually offer show specials with some significant savings if you are in the market for an engine analyzer or engine management system. The Ultra Electronics “AuRACLE” is not sold over-the-counter and they limit installations of their products through dealers only. They’re represented at most shows and are prepared to point you in the direction of your closest dealer. They too will usually work with you on a show price. Used Avionics – There are no restrictions on the sale of used equipment at the shows. Many dealers bring a healthy inventory of good, used avionics with them and they’re anxious to see them sold. You’ll frequently do better at the shows on a used avionics purchase, but remember, the best units sell early and the best deals come late! If you’re trying to find a deal on the best, late-model avionics, you need to get to the show early, and, once you find what you’re after, be prepared to make the deal. It’s a good bet that you’ll still do a little better because the dealer also wants to make the sale. After all, they don’t want to take it back home. If you’re shopping for a piece of used avionics that isn’t currently on the “hot” list, you can afford to take your time and shop deeper. My advice on shopping for used equipment at shows: Do your homework before you go. The shopping environment in the halls is frequently loud, a bit overcrowded, and the big guys are often swamped with activity. I can tell you, as an avionics consultant, it’s almost impossible to do that kind of selling at shows. You become an order taker! And, it’s certainly not an environment for a lengthy discussion—the three people standing behind you (who are ready to buy the deal of the day) just won’t allow it! It’s best to know what you want before you get there. Also, make sure you know what you need and that you’ll get it. For example, if it’s a new installation, you’ll likely need racks and connectors. You’ll find that many dealers don’t bring these to the shows so they’ll have to ship the item with the parts you need for installation to your home. In this case, be sure to have them note on the invoice that the parts are still “needed” and included with the purchase. The good news here is that you can frequently negotiate free or reduced shipping! Handheld Comms, GPSs and other Over-the-counter Products – Most portable GPSs are now subject to the manufacturer’s MRP policy. However, you’ll frequently find manufacturers offering show rebates. I believe that every pilot (VFR and especially IFR) should carry a portable comm in their flight bag, and the shows are the best place to buy one. The manufacturers are aggressive and most offer something special. In fact, dealers will usually bring a bunch of units with the goal of selling them all. There are a lot of other products that are sold without restrictions too. You’ll find good deals on ELTs, headsets, and more. As mentioned before, most headset manufacturers now have a Minimum Resale Price on their products. However, they often offer rebates or special deals on multiple purchases. If you only need one headset, bring a friend and share the savings! The shows are the best place to buy a headset. You can try them on and compare and, maybe, get a deal! Installations – Remember what I said about only the big guys being at the shows and that the show environment is not conducive to lengthy conversations and consultant selling? If you’re planning an avionics upgrade, you need both of these things to do it right! Simply stated, you’ll find it’s difficult to do these things in the show environment. Plus, if you’re concerned about saving money on an installation, I don’t believe there are any significant savings on avionics installations at the shows. Here’s why. You can’t get the time and the help you need at a show. If you know exactly what you want to install and why, that’s one thing; but if you expect to have these discussions and accomplish this at the show, you’re likely to be disappointed. The shows are a great place to do your homework by visiting the manufacturers booths and seeing and touching their products. It’s about the only place that you can do that. The quote you’ll get at a show is usually the same quote you would get over the phone. As I stated, the big guys compete against themselves, and they do avionics installation quotes every day. The price they quote for the equipment portion of an installation is frequently the lowest price that they’re willing to sell at. They can’t (or won’t) go any lower. Similarly, installation hours are fixed and non-negotiable. What I’m saying is simple: The big dealers sell their installations so tightly priced every day, that they simply have no way of going lower at the shows. Plus, if you’re in East-Podunk (sorry, is that really a place?) and the mega dealer is 500 miles away, does it really make any sense to travel that far for an installation? I’m not suggesting that there is not some potential savings on an avionics installation when you deal with a large avionics retailer. The big guys often quote equipment a little lower, but consider the extra money you spend on gas and, sometimes, a commercial flight to and from the shop. Not to mention what happens when you get the aircraft home and a week later you have a problem. You need to maintain a local avionics relationship. Just try using your small, local shop for your everyday avionics needs and then take your big job somewhere else! The hanger door is likely to be closed the next time you knock. On the other hand, if you’re planning to do a significant installation using used equipment and have a qualified person to install them, I think you can do well shopping for your used equipment at a show. You need to know what you want in advance and you must be organized. Type up a list of what you want and shop the list. It’s nice if you can find one vendor who can sell you everything because you can get a volume deal, but go ahead and shop each item individually and get a price that way. You’ll also get a sense for a sales consultant that shows a willingness to work with you. Once you know what you can pay for individual units, go back to that guy and negotiate a package deal. Give them a deposit with an understanding that the balance will be charged when the order is shipped. Make sure the invoice includes racks, connectors, and a 90-day warranty and let them ship the order complete to you. Note that if the vendor is not in your home state, you will usually not get charged sales tax. All over-the-counter orders at Oshkosh are subject to sales tax and the Wisconsin Sales Tax Department is passionate about getting their money! When you have your order shipped direct to you, there’s savings there as well. In short, there are many deals available at shows but, with few exceptions, I don’t believe that an avionics installation is one of them. I’ve watched pilots running around all week long and on the last day of the show frantically trying to negotiate and close the best deal on an installation. It’s not pretty; and, frankly, it’s a perfect environment to make a mistake and buy the wrong thing! If you’re going to AirVenture this year with plans to make some avionics purchases, why not write down my direct email and take it with you? bob@avionixhelp.com I’m usually close to my computer and answer emails quickly and I’ll make a point during Oshkosh week to keep an eye out for questions from Cessna and Piper Owners. Perhaps I can keep you from buying the wrong thing or help you find the right one at a good price! I’ll be standing by. Until then, Happy and Safe Flying…and Buying!